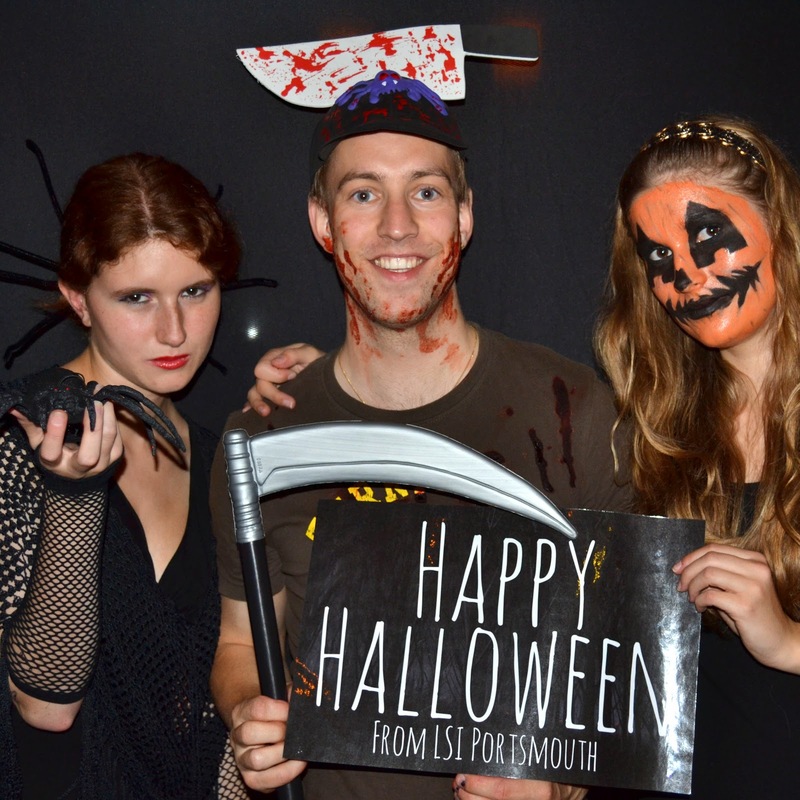 LSI Portsmouth Blog: How to Have a Scary Party - Just Ask Us! 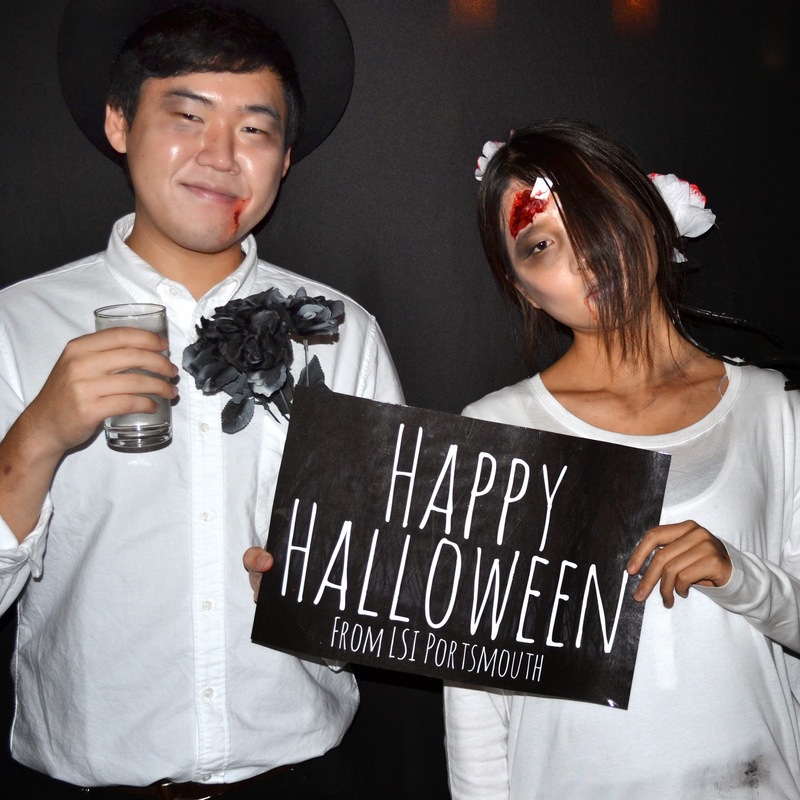 How to Have a Scary Party - Just Ask Us! We know how to have a party!! 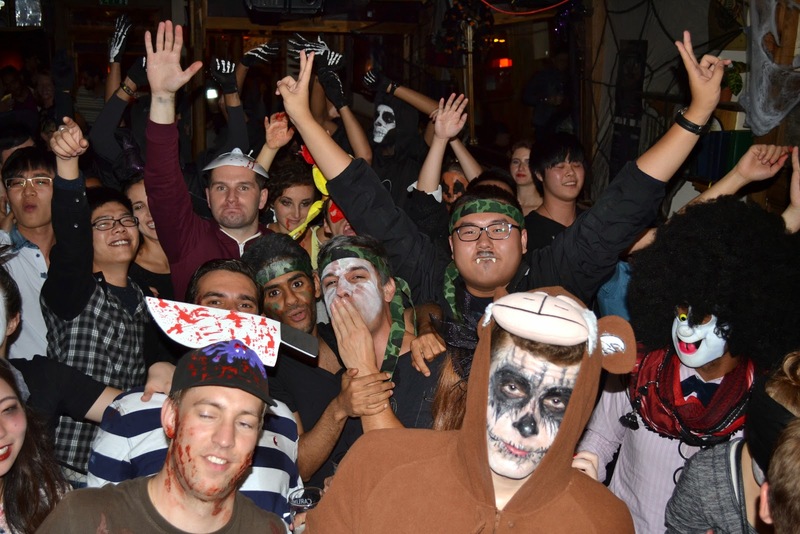 over 100 LSI students came together to celebrate Halloween in typical LSI style- with a huge party! 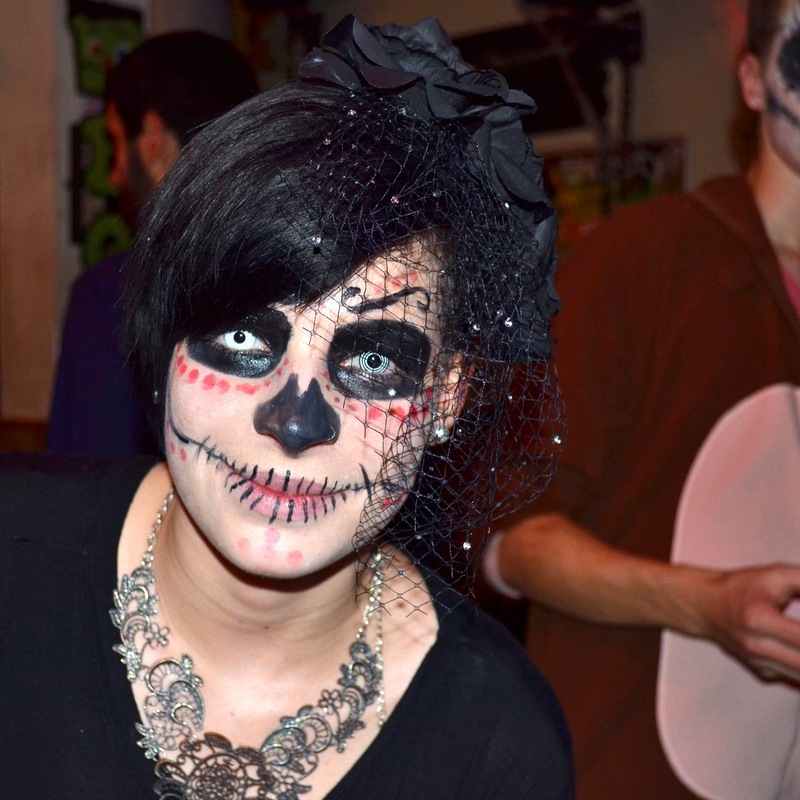 From cute cats and girly witches to zombie brides and terrifying clowns, our students certainly looked scary. We are lucky enough to have an amazing DJ among our teaching staff, and he always knows how to get our students up and dancing. 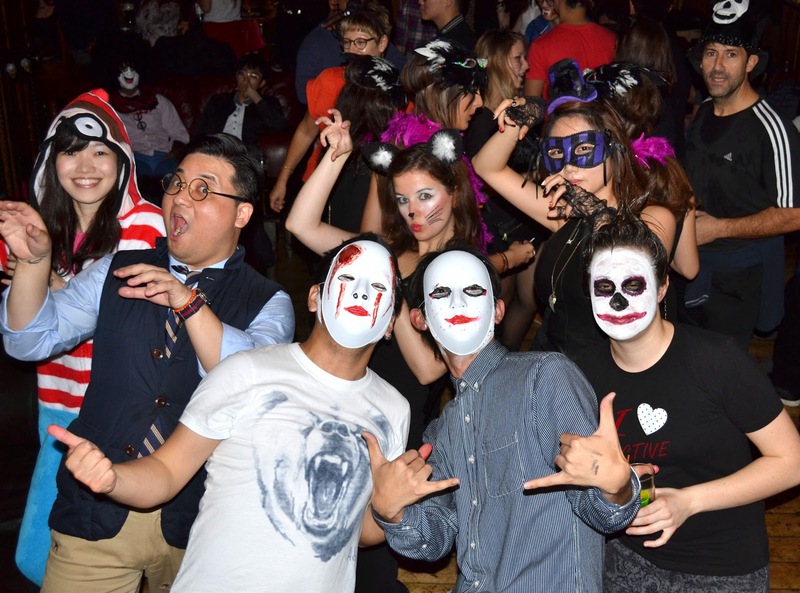 There was an amazing atmosphere, with DJ Hugo playing an strange mix of Halloween classics and current chart favourites. Prizes were awarded for the best costumes, including the beautiful zombie bride Ryo (from Japan), and the bizarrely horrifying mad doctor Arthur (from Holland). 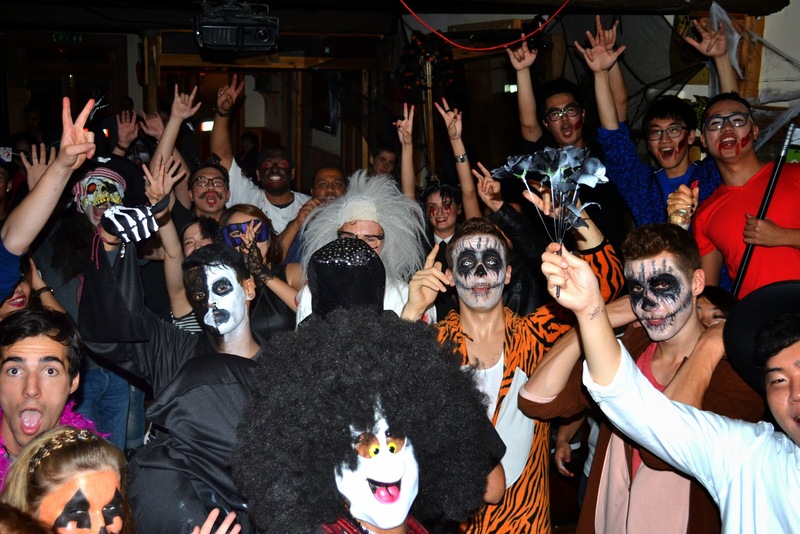 However, the top prize was rightly awarded to the lovely Saudi Arabian boys, who arrived as a group, dressed as cloaked skeletons and who really made the party a scary success. The whole event was a great success, and although there were a few tired faces in the morning, everyone agreed that it was certainly worth it. We would just like to say thank you to everyone who came, and we look forward to hosting the next big LSI party.